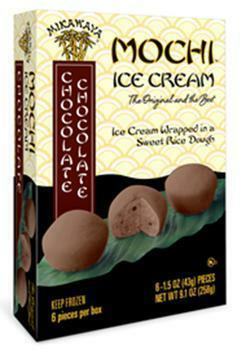 Mikawaya is recalling a limited amount of Mikawaya Brand Chocolate Chocolate Mochi Ice Cream. There have been no reports of illness or allergic reactions associated with this product. The recalled product is sold in a paperboard box, containing 9.1-oz (258g) of 6-1.5-oz (43g) pieces with UPC code of 070934990609 and lot number LOT 090-17. The UPC code can be found on the back of the box and the lot number is printed on the top enclosure. It was distributed to all Trader Joe’s stores nationwide. Customers who purchased the recalled product and have an allergy or sensitivity to peanuts, should not consume it, but return it to any Trader Joe’s for a full refund. Customers with questions may contact Mikawaya at (323) 587-5504 Monday – Friday, between 9:00 A.M. and 5:00 P.M. (PT).